We are proud to unveil our new home page! Our new banner is designed to highlight featured products, upcoming events, classes, store specials and more. Beneath the banner are easy links to our products, your account, plus the latest news from our blog and the support forums. 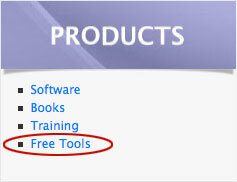 Of special interest is a link to our new Free Tools page. 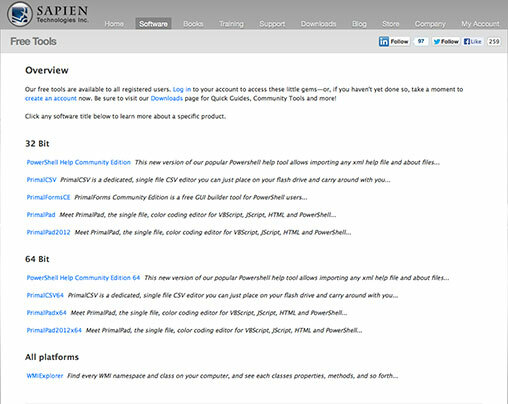 Normally found in the download section of our site, the Free Tools are now more easily accessible via the link under the Products section of the home page. 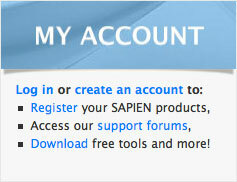 You need to have a SAPIEN account to download these tools – log in or create your account easily from the My Account section of the home page! New Home Page: We are proud to unveil our new home page! Maricela Soria liked this on Facebook. 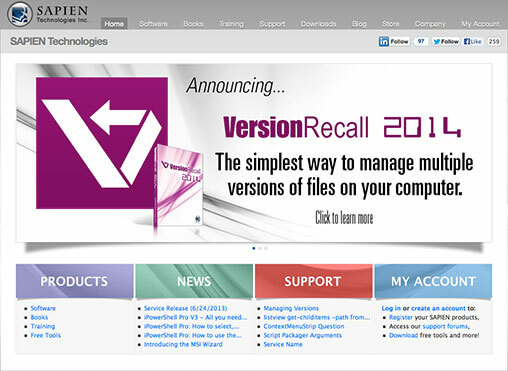 RT @SAPIENTech: New Home Page: We are proud to unveil our new home page!